Why it matters: In today’s world of mass surveillance, we find cameras pointing at us no matter where we go. But there are certain places you wouldn’t expect to find them, such as in the back of an airplane seat. Surprisingly, people have found that some in-flight entertainment systems in both American Airlines and Singapore Airlines planes have built-in cameras. These cameras have been spotted for a couple of years now, but they gained more attention recently when a photo of one from a Singapore Airlines flight was tweeted by user Vitaly Kamluk. As reported by BuzzFeed News, they have also been discovered in some of the screens on American Airlines’ premium economy class seats. Passenger Sri Ray noticed one during a Boeing 777-200 flight to Tokyo last September. While unexplained cameras are always going to be a concern, the companies claim there is no reason to worry. 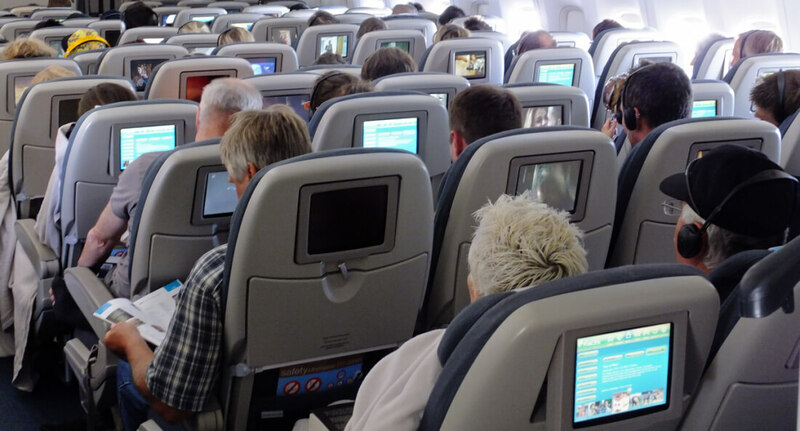 The airlines’ in-flight entertainment systems were purchased from the manufacturers with the cameras already embedded for possible future features. These include seat-to-seat video conferencing and using hand gestures to control what’s on the screen. inching closer to Black mirror every day. Both firms said the cameras have never been activated and they have no plans to develop features that would make use of them. While there appears to be nothing to worry about in these cases, privacy fears mean many people today are uncomfortable with having a camera pointed at them. After Google admitted that not revealing its Nest system came with an in-built microphone was an error, public mistrust when it comes to such matters remains high.